India vs New Zealand: With some calling for Rishabh Pant’s inclusion in the World Cup squad, the three-match T20I series presents a chance for him to prove his credentials. India had a blip in the fourth and start of fifth ODI against New Zealand but overall had a comfortable outing in the 4-1 series win. The Rohit Sharma captained India would look to take that momentum into the three-match T20 series as the homestretch of a memorable three month tour of Australia and New Zealand appears. India didn’t lose a series in Australia and would hope to keep that run going in New Zealand also. Following their biggest series win in New Zealand, India would be eager for a first-ever T20I series win as well. “We too are humans and our bodies need a bit of rest. 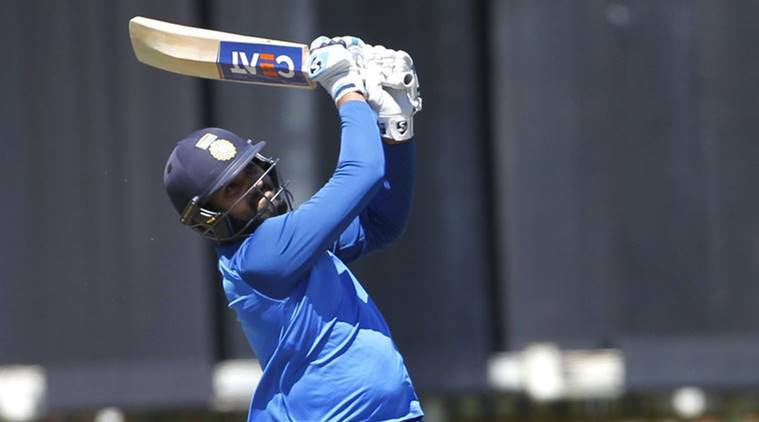 Of course, we would be looking to the win the series and carry the momentum back home for the Australia series,” opener Shikhar Dhawan said on the eve of the game. Keeping that in mind, a fresh Rishabh Pant could make a difference especially with plenty of calls for his inclusion in the World Cup squad. The ODI series solved quite a few issues in the middle order but the top order needs bolstering where Pant could be a vital add. Pant, wicketkeeper batsman, was not part of the ODIs, returns hungrier and has a big opportunity to stake a claim for a World Cup spot. “I would also keep Rishabh Pant. He brings that left-handedness in the top lineup as well. And I would look at playing him in the team. I will look to play him in the five one-dayers that India plays against Australia in about two weeks time. That will give us a fair idea about how the young kid is shaping up and give him some little more responsibility at say 4 or 5 because at No. 6 or 7 he just going to bang…bang and blast it around and that is not what you want to see,” said Sunil Gavaskar on India’s options besides MS Dhoni for the World Cup. “What we want to see is may be something like what happened today, three wickets down with not too many and then he comes in and looks to play the ones and the twos, settle down and then hit the big shots to score 70 or 80 or even a hundred. That left-handed option in the middle order is very crucial. All I am saying, take a punt with Rishabh Pant,” he went on to add. He is being seen as a long-term successor to veteran MS Dhoni and now would be a good time to get that process underway. “He is an aggressive batsman, an asset for the team, can take away games from opposition in a very short time. I hope he grabs this opportunity (in T20s) with both hands,” said Dhawan. The series presents an opportunity for Dinesh Karthik, who has done well as a finisher in the past but is still not a sure starter. Ambati Rayudu, however, grabbed his chance with a match-winning 90 runs in the fifth ODI, probably enough to seal a place in the middle-order. In Virat Kohli’s absence, who has been rested, nineteen-year-old Shubman Gill may get a chance at number three again with glimpses of his much talked about talent but not settling in in the last two ODIs. Besides Pant, the others who have joined the team for the T20s are spin all-rounder Krunal Pandya and Punjab pacer Siddharth Kaul. In the absence of a senior member in Jasprit Bumrah, Mohammad Siraj and Khaleel Ahmed haven’t stepped up and made themselves count. After the 75* and 66 in the first two ODIs, Dhawan’s form dipped in the last three ODIs of the series with scores of 28, 13 and 6. Ahead of the T20I opener, he was seen practising with a tennis ball to counter the bounce and swing generated by the home team’s pacers. New Zealand will be desperate to turn things around after the drubbing in ODIs. Historically, New Zealand hold the upper hand over India in the shortest format of the game with 2-0 win in 2008-09 in the sole bilateral series played on New Zealand soil till date. The Black Caps edged India 1-0 in a two-match away series in 2012 before losing 1-2 in India in 2017-18. India would breathe better knowing Trent Boult has been rested to manage his workload with World Cup three months away. The ball swung initially at the Westpac Stadium on Sunday and the conditions could have been to Boult’s liking. It will be interesting to see what rookie all-rounder Daryl Mitchell and pacer Blair Tickner do in their debut series. New Zealand squad: Kane Williamson(c), Doug Bracewell, Colin de Grandhomme, Lockie Ferguson, Scott Kuggeleijn, Colin Munro, Daryl Mitchell, Mitchell Santner, Tim Seifert, Ish Sodhi, Tim Southee, Ross Taylor, Blair Tickner, James Neesham. India squad: Rohit Sharma(c), Shikhar Dhawan, Rishabh Pant, Dinesh Karthik, Kedar Jadhav, MS Dhoni, Krunal Pandya, Kuldeep Yadav, Yuzvendra Chahal, Bhuvneshwar Kumar, Siddarth Kaul, Khaleel Ahmed, Shubman Gill, Vijay Shankar, Hardik Pandya, Mohammad Siraj. India vs New Zealand 1st T20 Live Cricket Score Streaming: What time is the first T20I?